As a part of the May 2017 update to your white label dashboard, we've added a Tools section where you can find many great features in one convenient location. Mockup Creator - Build stunning mockups for Web Design prospects. Customize them by adding or removing sections. You can also find a link here for a Portfolio which you can showcase as examples the type of websites that you build. Proposal Builder - Also a May 2017 update, the Proposal Builder is where you can create and edit proposals for your SEO, Web Design, Social Media, and PPC prospects as well as track the status of all your proposals. Web Audits - You can still easily generate Web Audits from your dashboard homepage but this button takes you to a list of all web audits where you can delete them from the list or download. Store - You can still find a link to the Store in the menu at the top of the screen but you can also access the store through this button in the Tools section. 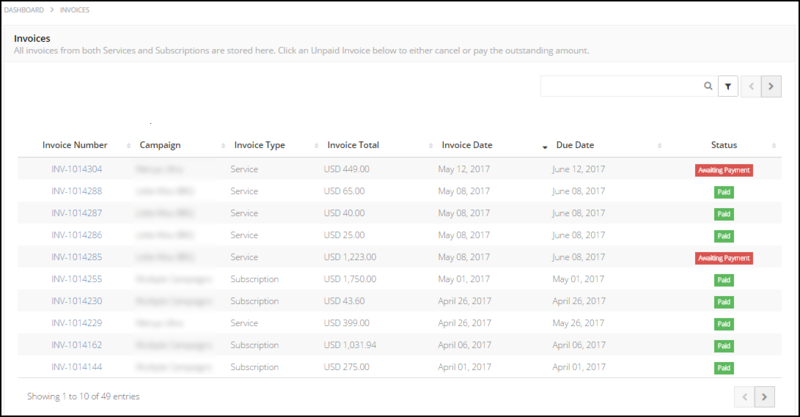 Invoices and Receipts - View all of your invoices, paid or unpaid, in one place. Filter the list by Type or Status. 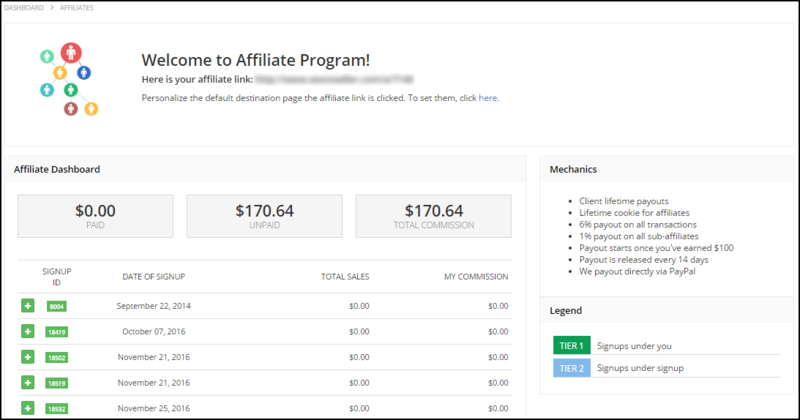 Affiliates - Access your affiliate dashboard and affiliate link through which you can sign up partners and gain passive income.